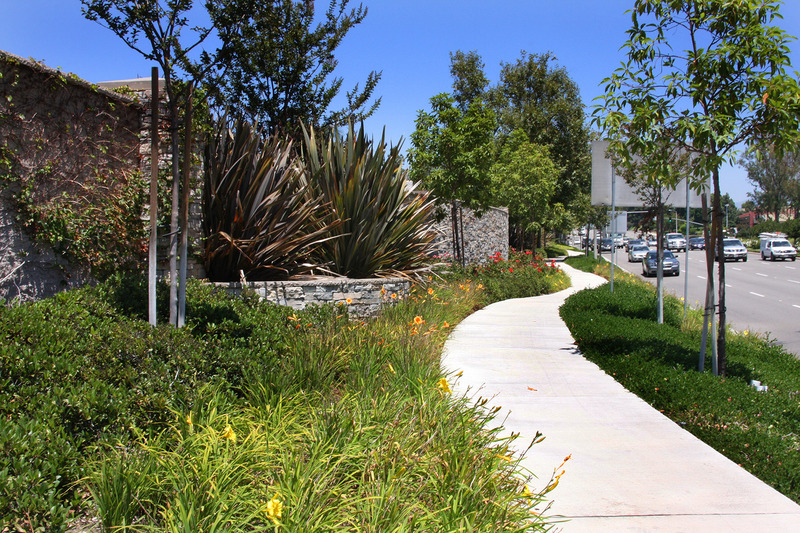 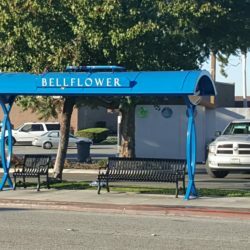 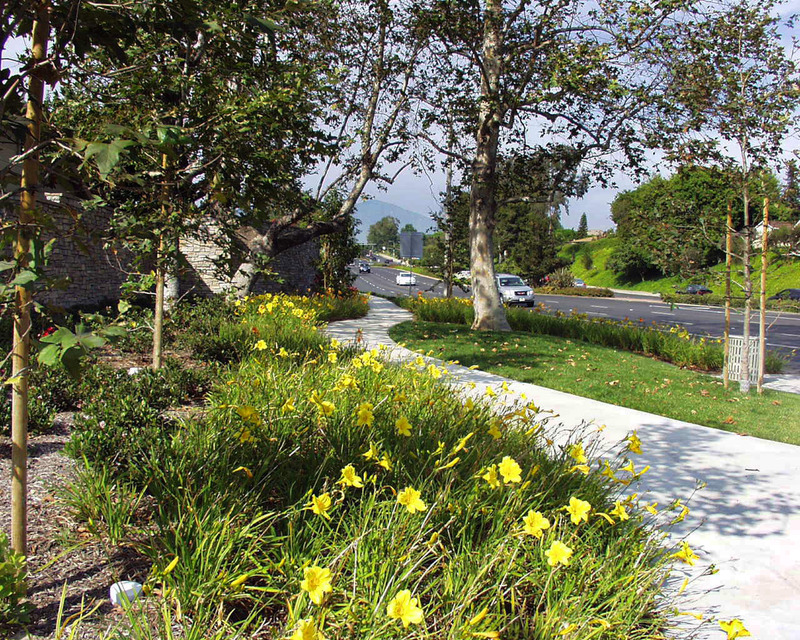 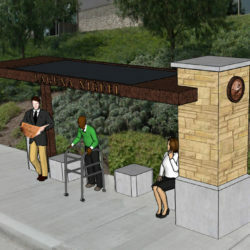 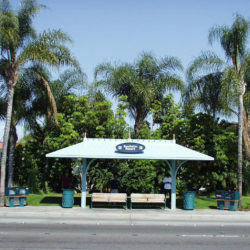 Alicia Parkway is a busy thoroughfare that winds through residential, commercial, and open space areas of the City of Mission Viejo. 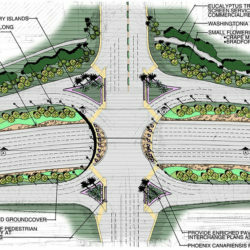 The traffic flow at the intersection of Alicia Parkway and Muirlands Boulevard presented several important issues to the adjacent residential community; traffic congestion, noise, and safety. 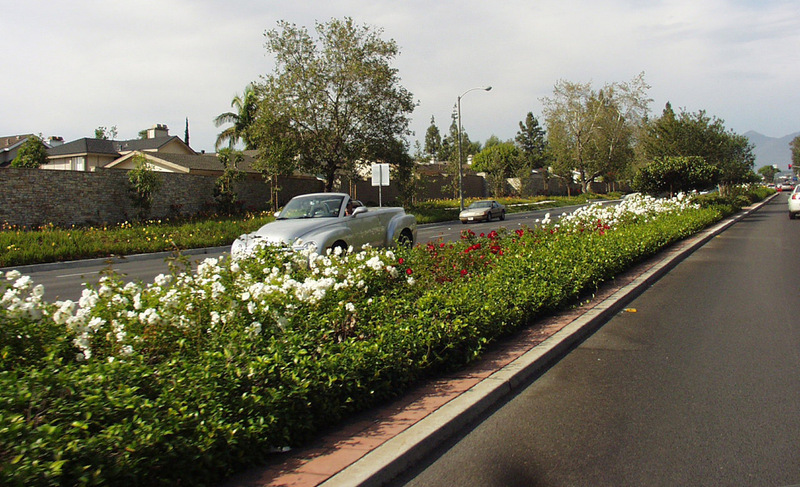 In order to address these issues, a 7-foot high El Dorado Stone sound wall was constructed at the intersection, providing security for the neighbors as well as reducing traffic noise. 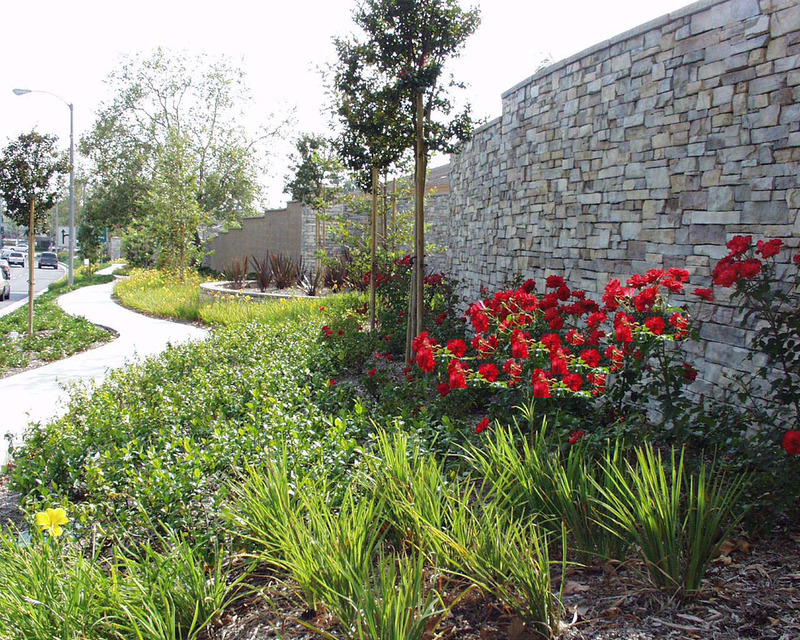 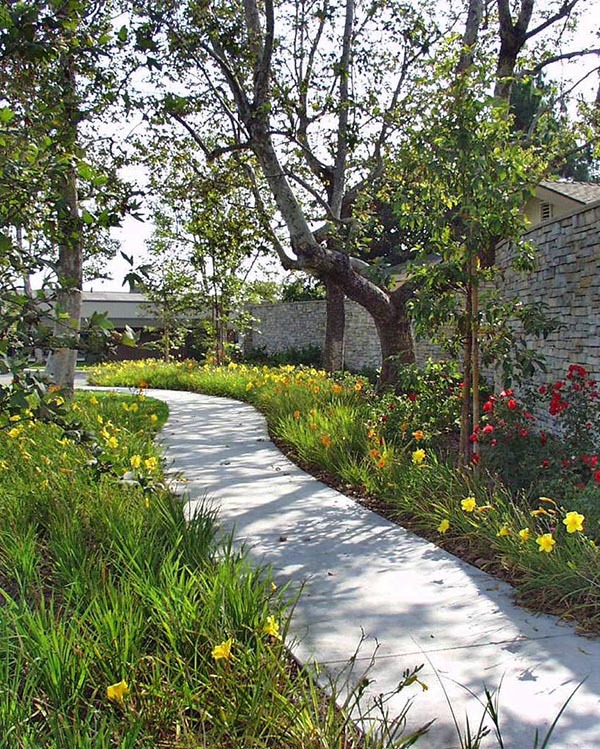 Low stone retaining walls and a re-configured sidewalk meander through preserved heritage Sycamore trees and planters brimming with flowering landscape roses and daylilies.